To create the illusion of the floating candles for Harry Potter and the Philosopher’s Stone, every ‘candle’ consisted of a candle-shaped tube filled with spirit oil and topped with a wick. 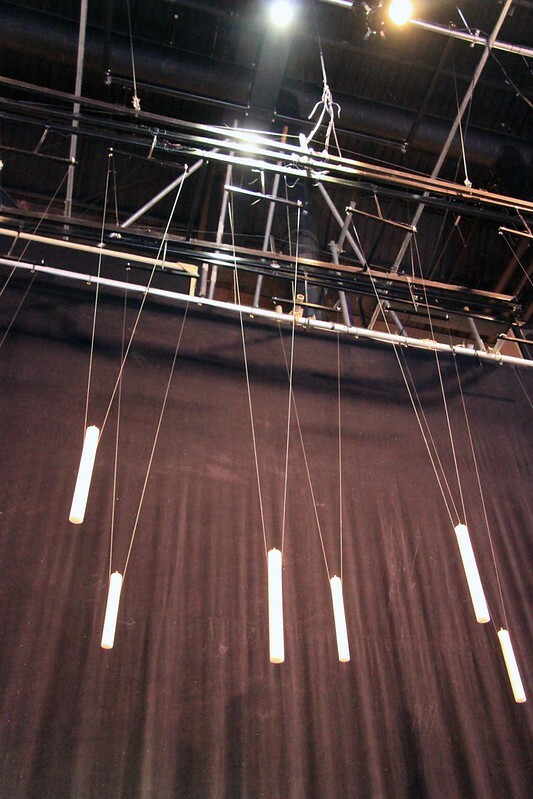 Each candle was suspended by a tungsten wire from a motorised rig like this one, which was digitally removed during post-production. However, during the first days of filming, candles burned through the wire and fell onto the tables. For the safety of the actors, the producers wisely decided to cut most of the rigs in the Great Hall and create the illusion with digital effects instead. Image published by Karen Roe on 2012-06-10 17:15:38 and used under Creative Commons license.